The Highlands at Withers Preserve offers an extraordinary lifestyle whether you are a young couple just starting out, a large growing family, or looking for a place to retire. 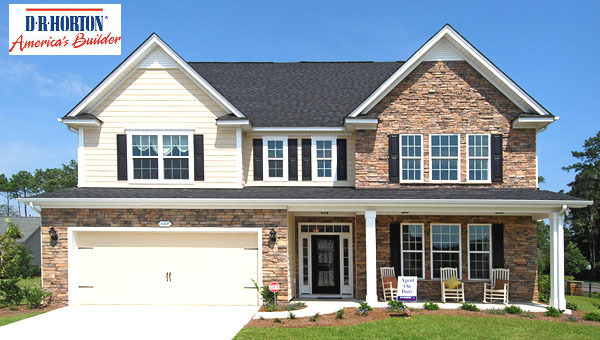 Read more about Highlands at Withers Preserve real estate. D R Horton offers 16 floorplans for 3-5 bedrooms and some models have the possibility of up to 7 bedrooms. An assortment of options and price ranges will satisfy every budget, need, and taste. Features like fireplaces, natural gas, gourmet kitchens, work islands, stainless steel appliances, walk-in closets, his and her vanities, porches, and more are standard in a D R Horton home. Prices run from the low $200,000's to over $300,000. Community amenities include a pool and wide sidewalks that wander through the neighborhood, offering community lakes and lush green areas to enjoy. Nearby, the beautiful 220-acre Grand Park has nearly 40 acres of lakes, walking trails and sports fields. It is just a short walk to the Market Common shopping district where there are great restaurants, entertainment opportunities, and upscale shopping. The Myrtle Beach International Airport is just minutes away. There are more than 120 golf courses in the area to satisfy avid golfers. This is a community that has it all. Call our real estate professionals today for a private tour of Highlands at Withers Preserve or any of the other great Market Common communities.